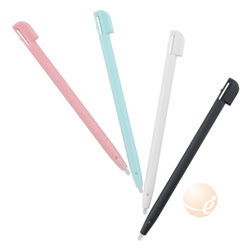 .25 pack of 4 Stylus's for Nintendo DS - FREE shipping! .25 pack of 4 Stylus’s for Nintendo DS – FREE shipping! The coupon code will be valid starting Wednesday, June 3rd at 6:30pm PDT, and will remain valid for the first 2,000 customers. Click HERE to order and enter code DSLITESTY4PC at checkout. Reminder: The code will not be valid until 06/03/09 6:30pm PDT.